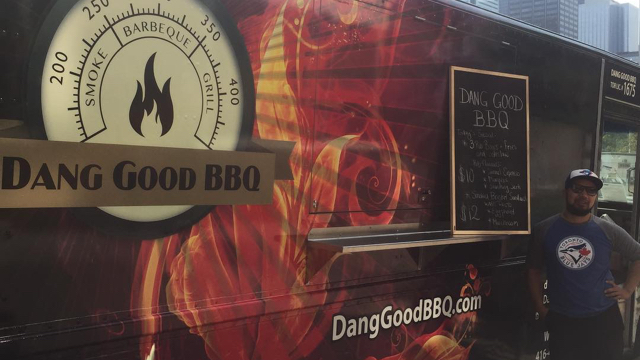 Dang Good BBQ is a great choice for meat lovers! We specialize in smoked pork ribs, pesto beef brisket, chicken and vegetarian sandwiches. All meat is smoked on the truck that's why it's so fresh and tender! Sorry, we don't know when Dang Good BBQ will be open next. We last saw them on November 1, 2018 at @CF Shops at Don Mills. Check back soon — as soon as they post their schedule it will show up on this page. Do you own Dang Good BBQ? Sign in to post your schedule.